Specialist SEO for travel companies, hotels, airlines, tourist boards and OTAs. The travel industry has seen great change since internet penetration and accessibility became more prominent in our lives. The traditional shopping on teletext or going to a local travel agency evolved into online shopping. This has both posed new challenges and opportunities for travel brands. If you have a travel website, or blog, and you’re new to SEO and the digital scene, or looking to take your brand to the next level, it’s important that you understand why search engine optimisation is important to your travel business. Easily the best person I’ve had the pleasure of dealing with. Highly recommended to anyone! The Travel SEO campaigns I implement are designed to understand the seasonality of your business, the average cost per booking target, and also how our service will integrate within your overall digital strategy. Big travel brands and aggregators such as Thomson, Jet2 and Kuoni utilise large budgets on large omni-channel marketing campaigns. Through advertising on TV and other offline media means they’ve built up a brand gravitas, and as a result they’ve built the necessary signals of trust (backlinks, citations and natural online noise) to prove to the search engines that they have user value. Generating these offsite signals is a part of SEO, but it’s not the be all and end all, and purchasing a few links on travel blogger websites might have some impact in very niche industries, but not in the grand scheme of things. A real SEO campaign for travel agencies is built on technical, content and strong outreach – not paid link building, it’s not 2010 anymore. 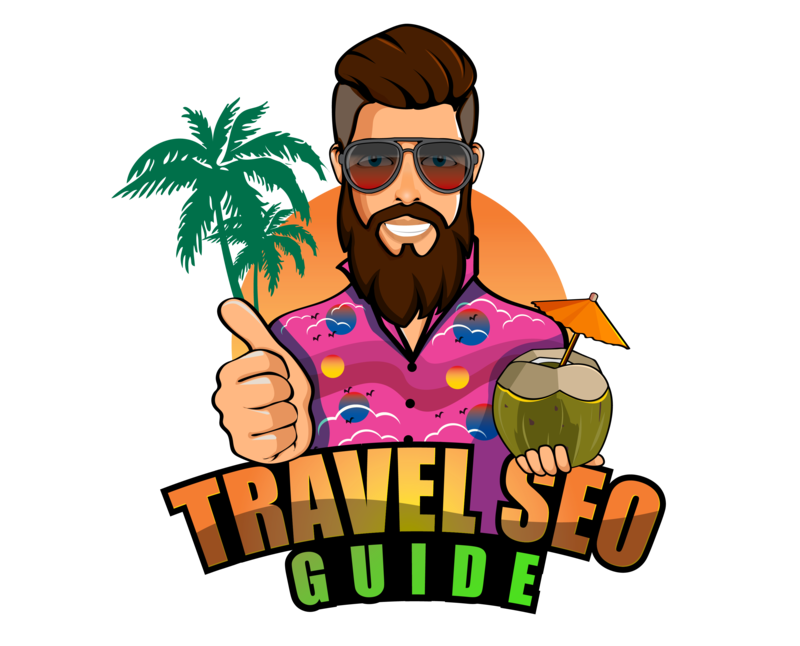 I’ve put together the most in-depth guide to SEO for the travel industry that can be found online, for free. Meaning if you’re not yet at the size were you can afford to engage with SEO services, you can do the basics yourself. You can read my travel marketing guide here. Are you a travel agent, reseller or specialist tour operator with an online presence at the heart of your long term business strategy? SEO cannot be sold in packages, and there is no one size fits all because every business is different, so an SEO professionals experience in the travel industry is vital in putting together a comprehensive strategy for sustained success. With there being so many travel agencies and tour operators all trying to attract new clients who are looking for a professional and reliable service, it is really important that travel agents and tour operators looking to promote themselves online use an SEO company who are experts in helping to promote travel agency websites. Having worked with travel brands ranging from small to medium sized companies, to household and global travel brands – I’ve got the experience to help you create a wholly integrated travel marketing campaign, combining technical SEO expertise with competitive vertical analysis and insight. Global commercial passenger airline. I provided consultancy around best practice for implementing international SEO best practice (and hreflang), JS overlays based on user IP for better UX, etc, across their 144 alternate language versions. Irish tour operator, This was a one off project, consisting of a technical audit and assessment of recommendations made by a previous SEO vendor (they weren’t great). I helped them highlight a number of issues with their WordPress platform surrounding Mobile, Speed, and internal linking. Airport transfer company in Ski destinations. I worked with their marketing team and provided market analysis across multiple European countries in helping identify demand around specific airports and ski resorts, as well as analysis of competition around key search phrases identified. Are you interested in generated more leads/sales for your travel business through organic search? Talk to me today about how we can make that happen.